Cassiobury Estates Limited are Land Agents and Development Consultants based in Hertfordshire and the East of England. They specialise in the identification of land suitable for residential redevelopment, and work to bring together interested property owners with reputable developers and homebuilders. The Cassiobury Estates site is an example of our BlackboxFlex product. 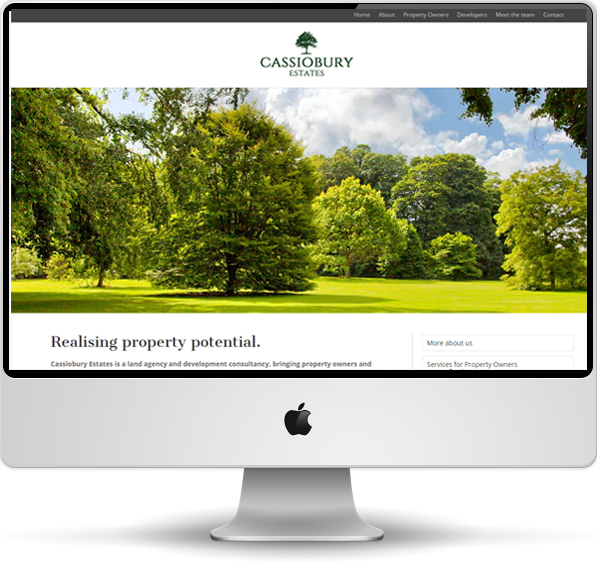 You can see the live Cassiobury Estates website here.